Work for Microsoft Dynamics 365 - Gamification? I love this program! It is exactly what we needed when coming up with ideas to better engage our team! It realy gets the reps to talk to each other and drum up positive reinforcement. There is nothing i dislike, it has been a lifesaver!! You definitely will not be disappointed by utilizing this service!! it has given our office everything we needed. I am so happy with this program, and i know our reps are too. Our main business challenge was motivating and better engaging our sales associates, perticularly those on the core and underperforming reps. We also didn't have a way to have transparent leader board results that would keep our sales force hungry to keep pushing themselves. With the Gamification program we have that now and it has been received very positively. It's great to implement a "fun" aspect to the daily grind of sales. They don't even realize they are working harder and better. It's a win, win for everyone! I like that 365 is relatively easy to use and figure out on your own. I personally just started using 365 through the sales company I work for and love how easy everything has come to me so far. The only part of 365 that gets discouraging sometimes is how slow the system can be when loading. Other then that we have no issues! Super simple and easy to use through sales force. The sales performance we handle at work is very busy and helps with all the sales. "Fun way to engage employees"
My favorite part about FantasySalesTeam is that it gets the sales people to talk to each other. This is crucial in our industry. It also builds a sense of accountability subtly as to not trigger any nerves. Nothing as of right now. I think it's a great product. This is something that is different from any other sales initiative. It's something that engages sales people in a way they would never expect in the business world. Lack of initiative has been a problem when agents get comfortable. Many of our agents like fantasy leagues, so this is great. "Review for Microsoft dynamics 365"
I just how easy it is to use the system. "Fantasy Sales Team is the Lifeline We Needed!" FST has brought new life to our internal promotions. Our sales associates love the format and have embraced every aspect that FST continues to offer through their awesome game models. My only dislike is that we didn't implement FST earlier. Our main business challenge was motivating and better engaging our sales associates. We also didn't have a way to have transparent leader board results that would keep our sales force hungry to keep pushing themselves. With FST we have that now and it has been received very positively. It's great to implement a "fun" aspect to the daily grind of sales. They don't even realize they are working harder and better. It's a win, win for everyone! "Exciting way to look at your sales activities"
Outside of the obvious reason relating to fantasy sports, it made me look at all of my sales activities and see the correlation to results. It's such a unique concept and the experience keeps you engaged. Most sales contests focus on end results and because of that, it does not keep the entire team engaged for long. However measuring key activity metrics in addition to end sales results made a big difference. I've never participated in a sales contest that kept the entire team locked in all the way through to the end. Everyone improved their key activities which lead to improved performance across the team during that quarter. At the time we used FST, they were still very new and only offered baseball as an option. The UI and graphics were pretty simple, however I know they have improved the experience and expanded game options since then. Nothing glaring as far as dislikes. Having been both and individual contributor and managed sales teams in the past, this is the best tool I've seen that helps the competitive nature of sales people. I used this product at my previous company a couple of years ago. Like most sales executives, I was looking for a way to compete and win a contest while looking at my business in a whole different light. Mission accomplished! Although I was successful and won a lot of categories, I was most proud of being able to measure different activities that kept me on track for the remainder of the year. We are now using the product at my current company and it will soon be rolled out to my team. I'm excited see the newest version of FST with different game options and start using it to measure and manage my business. "Finally a sales tool that is designed from the ground up to motivate and incent sales people." Ease of use, little to no training required and a fantastic system for creating and managing essential KPIs that are not only focused on revenue. There is not much we disliked about the product. Mobile features which we believe are on the road map would be great to have for our more remote users around the globe. To have access to an app would be amazing for our road warriors to keep in touch and challenge each other in the social collaboration part of the tool. This about what you are trying to achieve, don't make the entire contest just about revenue and overachieving the number. Create a well balanced set of metrics that can motivate the most junior all the way to the most senior level. Invest in the program with executive sponsorship, marketing and budget. It doesn't have to be a budget killer but do it right, you will certainly see the benefits. The need to keep our global field sales teams engaged and motivated. The recent game run in one of our sales team drove excitement and results around the KPIs we were focused on managing. We plan to run a truly global game next that is focused on driving behavior around identifying and qualifying deals as well as selling net new logos for our fastest growing set or products and services. This turns the tables on the traditional sales programs and puts the metrics and success straight in the hands of the sales leadership team. This is a sales program that you control - as a global sales leader, i select the metrics and design criteria for my game upfront. I can modify the metrics or change them from game to game to get the desired result (pipeline creation, specialist product meetings, customer engagement etc...). The best part is this is done through no pain of the sales team - instead they like and appreciate the "game". There is not much that i dislike about the core game and the amount of available metrics that can be used. I would like to see the graphics improved and the continual improvements and innovation on extending user play to all participants in the company (much like the recently added Fan). This allows me as a sales executive to set parameters & metrics for a sales team, and turn that into a contest immediately. I can now easily turn the dial and change rep behavior from game to game to meet my go to market objectives. "Fantasy Sales Team is for real"
Ease of use. The system requires no training. Users were logging in and checking their performance stats without reminders. We were early adopters and the product delivery and updates were coming fast and furious. The silver lining is that we were able to have some input into the development of new features. This is a fantastic company led by people who have lived and managed through traditional sales performance management challenges. The principals are available and ready to listen to your ideas in order to make FST the best it can be and deliver impact to your sales operations. We were able to gamify our sales program in minutes. This transformed our conversation from looking at results to competing on the activity metrics that mattered. No amount of pipeline reviews can do this. FST enabled more in one game than we accomplished in an entire year of traditional management tactics. "It is something I use daily and is helpful to keep things in order"
What an incredible tool. It's a great app that motivates sales people by using the fantasy sports template. You can measure any metric imaginable. You'd like your reps to make cold calls and enter the data in Salesforce. You can measure both metrics and award points based on both. It's a great tool for a sales manager to see how their reps are doing. The Fantasy Sales team is great to work with and can tailor the app in any way you need. I highly recommend this company and tool. It's truly a great tool. I haven't found anything that I don't like as of yet. The ease of use is impeccable and we are getting results at our company. Our company now has a way to track certain sales metrics that we never could before. "Making Sales Games Fun Again!" 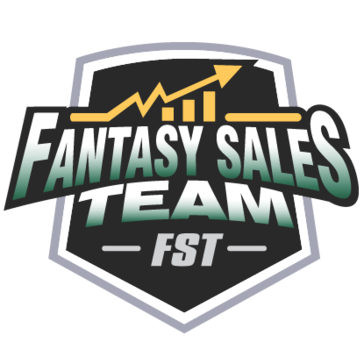 Fantasy Sales Team is extremely easy to use and provides real time feedback to sales, management and key executive staff. The unique presentation makes sales competitions engaging and dynamic keeping far more staff engaged for a longer period. At this point we really like the software and are excited to see new visuals and new features as the product develops. Great product at a tremendous value. The two major issues we were looking to address was to 1 - create meaningful sales competitions that don't rely on management/admin time and provide immediate feedback to the sales force on their activities. The second item we were looking to address was getting sales staff to improve their use of the new CRM tool we implemented and FST has been tremendous in delivering both. "Motivating Behavior not just Rewarding Results"
I like that the Fantasy Sales Team platform is designed to drive the right behavior instead of just rewarding results so that more people are motivated for longer periods of time. Their user interface is interactive and intuitive and setting up games is really easy. We've had really good support from the Fantasy Sales Team folks - especially when it comes to making it work with our internal systems. Fantasy Sales Team has been really responsive to our requests for support and have been open to requests for enhancements. Our goal is to motivate a large sales force spread across the country and keep people motivated all year long. We're excited to start rewarding people for doing the right things in addition to getting great results. Sales reps feed off of being #1 and earning bragging rights that is why games modeled on sports play well into their competitive nature. Our pilot resulted in turning everyday occurrences of calling on doctors into a fun game with the help of reward systems such as badges, trophies and leaderboards at the same time keeping focus on best practices. Very entertaining and fun very helpful aswell! Good software! I recommend It! As a Sales Engineer, I've seen a lot of incentive programs over the years and not a one can stack up to what I've seen with Fantasy Sales Team. It's exciting to any sales rep and motivates the sales team greatly! Fantasy Sales Team is often the topic of discussion around the office and "venting" has been replaced by genuine excitement and motivation. I can't recommend FST enough! I like everything about FST and I can't think of anything to add! It's a great motivational tool and really easy to use! Very flexible and allowed us to create multiple scenarios and games to create new ways to enhance competition among the sales team and drive selling initiatives. Embed the tool in Salesforce so the reps do not have to log in separately. Must have for every sales team! Driving revenue, New Business Activities, New Opportunity Creation, Increase selling into various product lines. Team camaraderie, and teamwork between other functional units of the business. "One of the best sales tools out there! " So far any of my needs have already been addressed. The responsiveness of the FST staff is incredible. Give it a shot...it's a great motivator for any inside/outside sales team. Connectivity across a large geography. More involvement from our office staff in growth. Nothing really,this is a cool idea and nothing needs improving. It is an amazing product and everyone should try it. The Fantasy Teams need to be bigger and have more control. We're excited about the gamification capabilities built in to Fantasy Sales Team, and the ability it gives us to encourage mentoring across previously segmented sales teams. We've had only great experiences so far! We're working to increase sales for a particular category of our business, within a very successful, growing sales number. FST will give the category visibility, and incentivize our sellers to give it more focus. We are gamifying sales training and other sales activities that will enable our sellers to become even better sales people, while growing this category. The software has enabled staff to be reasonably more productive when the product is put to use. I can't put my finger on a particular dislike that we have found with the software. Friendly user experience and easily integrated into 3rd party software. A couple of buggy issues upon initial test. Efficiencies within teams and higher collaboration after completions..
Learning about Microsoft Dynamics 365 - Gamification? * We monitor all Microsoft Dynamics 365 - Gamification reviews to prevent fraudulent reviews and keep review quality high. We do not post reviews by company employees or direct competitors. Validated reviews require the user to submit a screenshot of the product containing their user ID, in order to verify a user is an actual user of the product.